In the heart of Shanghai lies a 1930’s warehouse that recently re-bloomed as a small, elegant hotel that fuses modernism with the city's storied past. The 19 room Hotel Waterhouse at South Bund just opened last week and now offers guests an immersive experience. 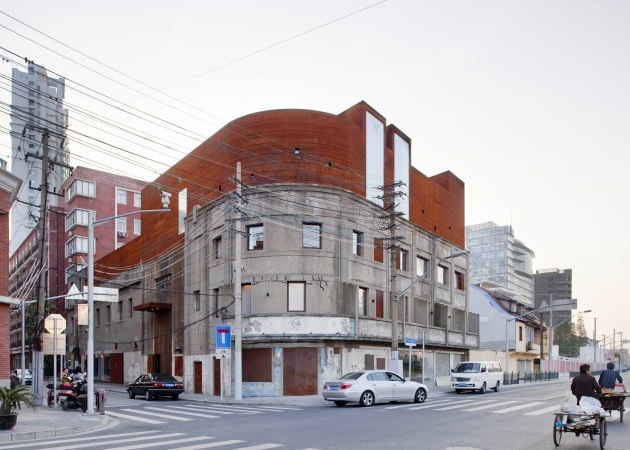 Designed by Neri & Hu Research and Design Office (NHRDO), the renovation is not a reface of an old concrete building -- but an architectural linkage of one era to another. Many of the old walls remain in their original condition while new elements sprout out of the old, defining public and private spaces and creating a sometimes startling contrast between the two. As its name implies, the Waterhouse started out as a port warehouse located on the banks of the Huangpu River. The immaculate reconstruction played a sensitive role in maintaining the feeling of the open and simple building. Each room is utterly unique, although they have all the modern refinements of an upscale hotel. The building is designed with a very open plan; public and private spaces merge in the the many preserved passages and the new bright and airy courtyard. very nice overall look for the hotel but would have been better if photos of it's interior are added..the lobby for example. As its name implies, the Waterhouse started out as a port warehouse located on the banks of the Huangpu River. The immaculate reconstruction played a sensitive role in maintaining the character of the open and simple building. Jarring juxtapositions, like the preserved walls in the lobby, tell you this will not be an ordinary stay. Each room is utterly unique, although they have all the modern refinements of an upscale hotel. The building is designed with a very open plan; public and private spaces merge in the the many preserved passages and a new bright and airy courtyard. The central court was added to allow light to reach the rooms. 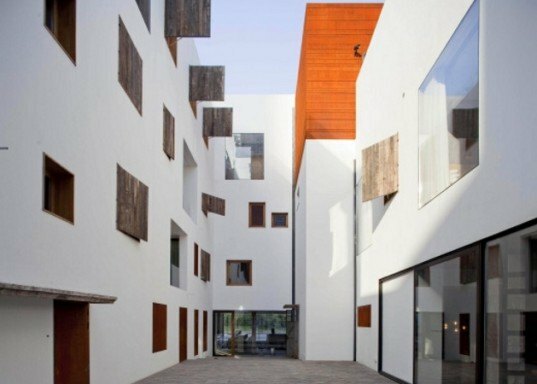 A multiplicity of windows and openings gives the hotel a rich visual texture. 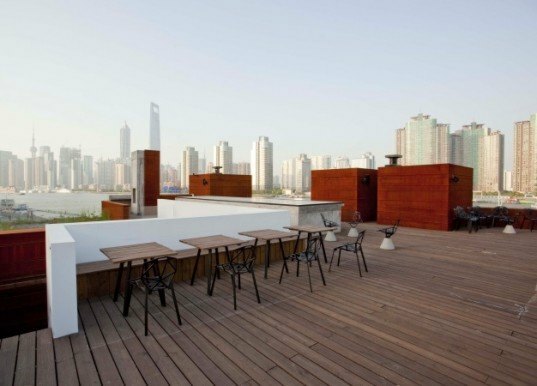 The reclaimed roof features an expansive view of the city’s skyline, including the site of the nearby Shanghai World Expo. Daylighting features prominently throughout the building. A ground floor conference room opens completely to the bustling street. One of the 19 unique rooms. The hotel offers free single speed bikes to get around and explore the busy neighborhoods.